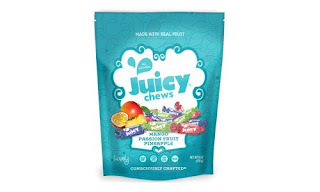 7 Kids and Us: Lovely Candy Company Caramels and Fruit Chews! 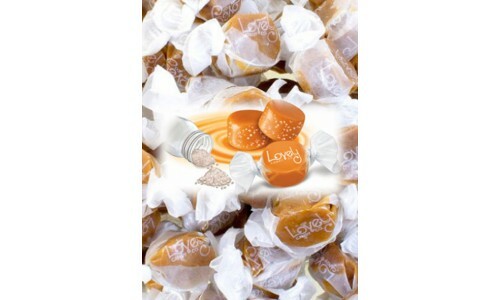 Lovely Candy Company Caramels and Fruit Chews! My family has been enjoying Lovely Candy Caramels for a long time. We have always been big caramel fans, and of course I love that Lovely Candies are non GMO and made with no high fructose corn syrup. 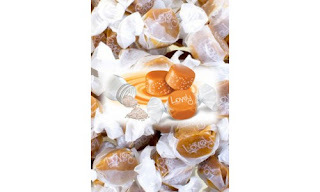 The Caramels are creamy and delicious, I love how soft they are, and easy to chew. The Sea Salt Caramels are another one of our favorites, with a hint more of a salty flavor which really makes the caramel tasty! You can imagine since I love the caramels so much, how excited I was to try the Fruit Chews! I am in love with anything fruity and chewy, so this was a real treat for me! I think the tropical mix is my favorite, I really love the mango and pineapple flavors! 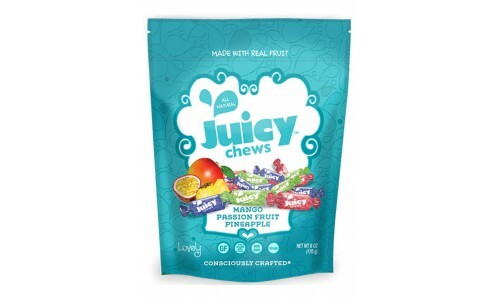 Again the Fruit Chews are made with NO HFCS, Gluten FREE, Vegan and NON GMO. 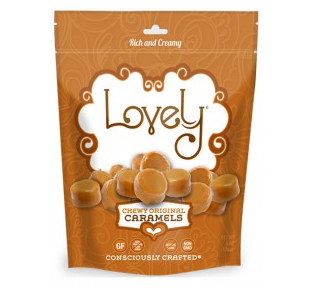 You can purchase Lovely Candy Company products online here, or at Whole Foods! New Spiderman Lip Balm from Lip Smacker! Forth- Delicious Plant Based Snacks For Everyone! Torie & Howard Organic Chewie Fruities! D-Lectables by Imperial Toys, Collect Them All! Kiddy Up Ball Cannon Blaster by Imperial Toys! Chirp Chips Are Really Chips Made From Crickets! Moonshot Galaxy Now on Playstation VR! Airwick Freshmatic For a Great Smelling Home! Showaflops are Flip Flops for the Shower! Blast Box Balloon Explosion Game! Savannah Sunrise on DVD May 16th! Felix Lingonberry Jams from Sweden! Capri Sun Sport For Your Sporty Kids!